Welcome! You’ve taken a big step in your discernment process just by visiting the vocations section of our website. We want you to feel at ease as you communicate with and learn about us and our monastic community. We are a Benedictine monastic community of women dedicated to a life of prayer, community and work. We were founded in 1857 and follow a guide called the Rule of Benedict. As Benedictines, we respond to the needs of the Church and the world. We invite you to come and pray with us, visit our sacred spaces and learn more about our Benedictine life. I am Sister Lisa Rose, the director of vocations for Saint Benedict’s Monastery. My role is to assist women who are discerning their vocation in life by first asking, “What is your vocation?” Questions that I may ask are “What is your prayer life like?” or “How do you feel God is calling you to religious life at this time in your life?” Together through our conversations, I ask the question, “Is Saint Benedict’s Monastery the best place for you to seek God?” I have the privilege of guiding women into a deeper relationship with God. My role is one of offering direction so she finds what is best for her. As the director of vocations, I listen and respond, I challenge and support, I let go and let her seek God. Do I feel a call to a deeper faith life, a deeper relationship with God? Do I desire to be part of a community committed to other women who are also seeking God? Do I sense a longing for a structured life of prayer, service and community living? Do I continue to find myself thinking about how to deepen my faith life? Do I wonder whether I may have a vocation to religious life? Are you a baptized Roman Catholic who has celebrated the sacraments of reconciliation, Eucharist and confirmation? If you are a convert to Catholicism, have you been worshiping regularly with a Roman Catholic community during the past two years? If you were raised Catholic, are you currently worshiping regularly with a Roman Catholic community? Are you single, widowed or divorced with an annulment? Have you had post-secondary education and/or do you have work experience beyond high school? Are you being treated for a condition that may prevent you from fully living in a monastic community? Are you between the ages of 22 – 45? This is the age range of women we ordinarily enter into a dialogue about a vocation in our community. These are the basic prerequisites to begin the dialogue for a religious vocation into our community. Contact our vocation director, Sister Lisa Rose, at lrose@csbsju.edu or (320) 363-7180. If you feel called to monastic life, but not as a professed sister, there are many opportunities that you can explore. Sister Lisa Rose would be happy to talk to you. Options include becoming an Oblate of Saint Benedict’s Monastery or a volunteer. 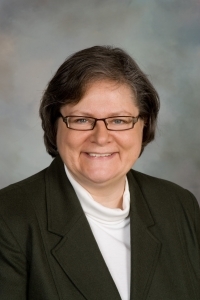 On July 11, 2009, Karen Rose made her first monastic profession and became Karen Rose, OSB. 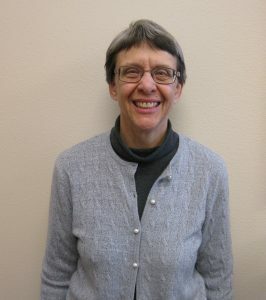 In the six months leading up to her perpetual monastic profession on July 11, 2012, she wrote a weekly blog to detail all the excitement, difficulties and experiences that come with discerning a vocation to religious life. 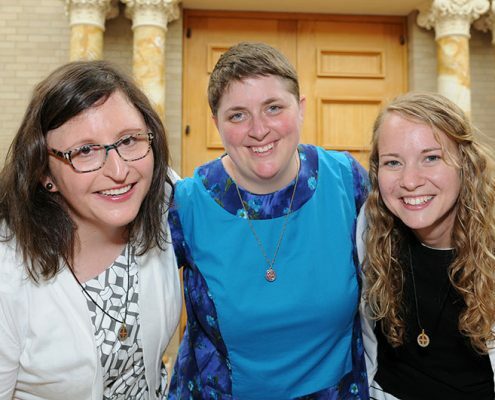 Ten years after becoming Sister Karen Rose, she is resurrecting this project and will be writing weekly, leading up to the Feast of Saint Benedict on July 11, 2019, to describe her current life as a Benedictine sister. Check back every Friday to read her newest blog on Seeking God: One Woman’s Journey. This is a time of becoming more familiar with the community through frequent visits while living and working independently of the community. This stage is generally nine months long. The woman lives within the community learning the life of prayer, work and community living. The opportunity to attend classes on Benedictine spirituality and prayer are built into the schedule. The stage of first monastic profession is a period of four to six years. The woman lives as a professed member of the community, continuing to learn the balance of prayer, work and community. She is discerning if this is the best place for her to seek God and make a lifelong commitment to the community. Making a lifelong commitment to seeking God according to the Gospel and the Rule of Benedict at Saint Benedict’s Monastery. What are the characteristics of Benedictine spirituality? What are the signs of a monastic religious vocation? What is monasticism? What is a monastery? How does it differ from apostolic life? Monasticism is a life where the priority is prayer. Prayer, work and community living are some of the key components of this lifestyle. The monastery is the place where Benedictine women live together in community. The apostolic life differs because it focuses on active ministry. Service to others is important. How do I know if I have a call? You have a desire to look for something deeper in your life. You have a hunger to serve God more deeply. The feelings of religious life linger and remain with you, no matter how hard you try to ignore them. There is a discernment process that is led by the director of vocations. Fill out an online request form to schedule a visit. You will be contacted by the director of vocations and have an in-depth phone interview to see if an on-site visit is the next step for you. What promises (formerly known as vows) do you make as Benedictine sisters? Celibate chastity and monastic poverty are also indispensable to the common life. What types of ministries have the sisters been involved in? If you spend the night, you will be a guest of the welcoming community. Five sisters live in the welcoming community, and they will help you feel at home. These sisters will accompany you to prayers, Eucharist and meals. You will also have a private room prepared for you with bedding, towels and reading materials about our community. If you come for a visit, please keep in mind the communal activities of prayer in the Oratory, Eucharist in the chapel and meals in our dining room. We ask that you wear clothing that speaks of simplicity, such as pants or a knee-length skirt and a modest blouse or sweater top, when we are in the Oratory, Chapel and monastic dining room. You will want clothes to work in, walk in and hang out in when with the welcoming house community. Based on your needs, a schedule will be set up with Sister Lisa Rose. She will help you discover all the opportunities available to you during your visit. There will also be an opportunity for you to spend time in quiet reflection, go for walks and exercise, if you so choose. What are some hopes for your visit? What are some of your personal interests?